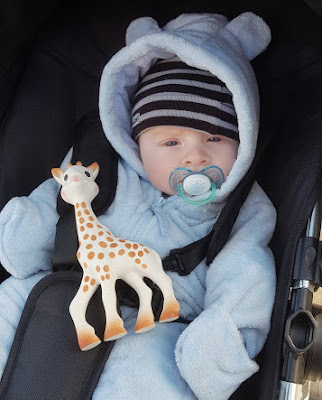 I don't usually cover products for babies, but for Sophie La Girafe I'll make an exception. She's been around since 1961 and has soothed over 50 million babies. 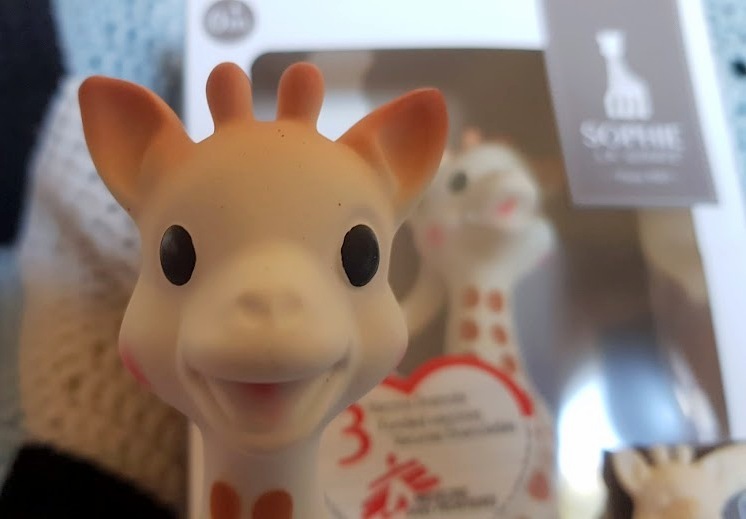 This year for every special Sophie MSF Award Set sold, they are collaborating with Medecins San Frontieres to provide 3 Measles vaccines to children who wouldn't otherwise have access to immunisation. I'm a huge advocate for vaccinations, there is no doubt that they have saved many thousands of lives and are the safest option for your child. Measles is a particularly nasty disease which can cause pneumonia, brain damage, deafness and even death. Around 1/4 of children under 5 who catch Measles will need to be treated in hospital*. Sophie's collaboration with Medecins San Frontieres will take vaccinations to children who very often would not be able to access medical care if they did catch Measles. Sophie is made from natural rubber from the Hevea Tree and she hasn't changed since the day she was first made. Soft and flexible and warmer than plastic, her renewable, natural materials make her an excellent teething toy for your little one. She has plenty of places that tiny hands can grip and practise their skills, she isn't heavy and she's really chompy, which is the main attraction factor for a child who has sore gums. The MSF Award Teething Set is in a really nice gift box and also includes the Sophie La Girafe Vanilla Teether - a smaller and more 2 dimensional teether which still has the same friendly face, but a little less colour. 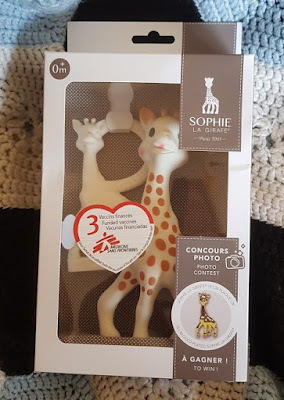 On the box are details of the worldwide Bonniest Baby Competition, which is open to anyone with a Sophie La Girafe. Held every year, each month 5 finalists win a Sophie la girafe gold-plated silver chain bracelet and at the end of the year they are entered into a grand finale. 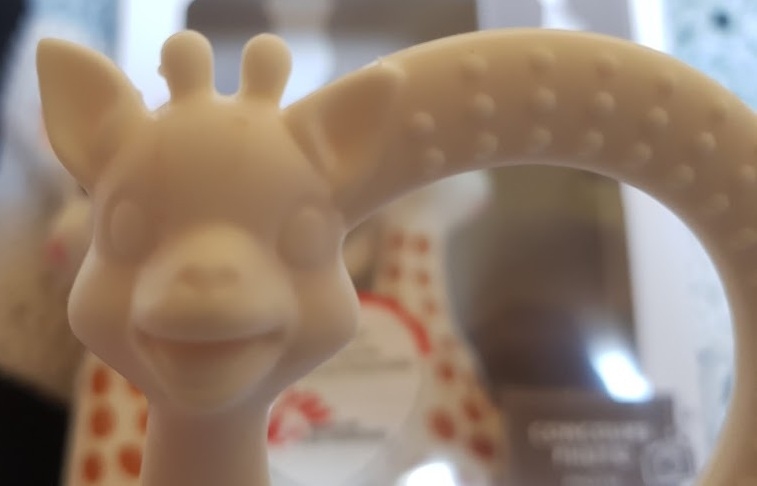 The 3 grand prizewinners will take home gold, silver and bronze Sophie La Girafe models. Entry is simple - upload a photo of your baby with their own Sophie! My children are too old, so I gave away a set to a very surprised Mum in the school playground in return for a demonstration Bonny Baby photo - I'm sure this young man was very happy with his new toys when he got home, but we weren't taking his gloves off today as it was -1! The Sophie La Girafe MSF Award Set is available to buy now from the Sophie La Girafe UK website priced £16.99. They also have other gift sets and the original Sophie La Girafe set available and all products are suitable from newborn. Courtesy of 1 Two Kids, the UK distributor for Sophie La Girafe, I have 2 MSF Award Teething Gift Sets to give away to my readers. Entry to the giveaway is by Gleam form below and 2 winners will each win 1 set. Open to UK entrants only, the giveaway will end at midnight Sunday 15th April 2018. For full terms and conditions see the bottom of the Gleam form, see my Giveaways Page to find my other UK sweepstakes. Source - Centres for Disease Control and prevention: The CDC Measles Vaccine Factsheet. Crotchet Blanket: My Awesome Sister, Outfit: Models Own. 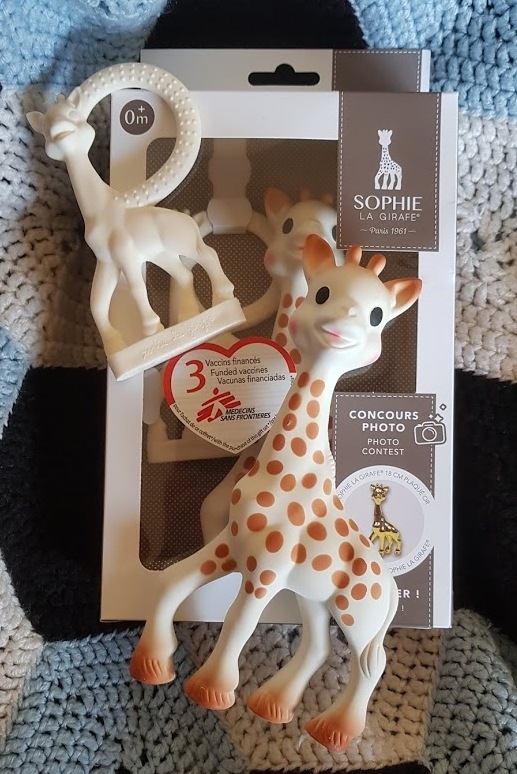 Sophie La Giraffe MSF Award Gift Sets: sent for review. I'll keep the open set because one day I intend to have Grandchildren and it's a bit weird to give away a baby toy that's open, the gorgeous young man has the other set. What a great cause to support! We never had Sophie La Giraffe but this looks like a gorgeous teething set! A spinning top which made a jingling sound. I was given a yellow teddy bear when I was born, who became known as Lella Bear, who is still sat by the side of my bed now! An old metal tipper truck with badly chipped red paint. Fun in the sandpit. A big furry bugs bunny ! My pink haired sindy doll. My Rainbow Bright doll. I took that darn thing with me everywhere & I still have it now! I had a jack in the box...and I was terrified of it. I remember playing with Rainbow Brite and was in love with the Sky Dancer dolls.. until one of mine flew into the fire place.. whoops! I can remember a rag doll with one eye that I called Rosie. My first cuddly toy as a baby was called Cocky (a duck). I loved him. Was cuddled so much he got holey and had to be repaired many times! My Major Morgan, had hours of fun with that. My life size baby doll. Ruffles, my rabbit teddy. I still have him tucked away in the attic somewhere! I had a bunny teddy called Flopsy-Mopsy. I still have her now. She is pink and white with tartan inside her ears- she did have a tartan dress but I have no idea when it went missing. My blue & red tricycle with a tipper on the back - I loved that trike! A little monkey called Kiki. So cute. I had a little grey dog my dad bought me. I had a teddy that I stole off our dog when I was a tiny baby! Bless her she let me have it and now my kids have him, he is totally battered and over 40 years old but very well loved! I don't remember much from my childhood, I was hit by a car and received amnesia when i was 13. Don't remember a teddy at all tbh! I remember getting Crystal Barbie for Christmas on year, she was beautiful. A spinning top that I used to love to watch! A white rabbit in red gingham called Snowy. It went everywhere with me. I just remember owning a lot of books! Lots and lots of teddies! My Thomas the Tank Engine train set. Absolutely loved it (and anything else Thomas related). The old Fisher price rolling phones with the face! My Yellow Teapot house! I wish I'd kept it for my kids! I remember having a lot of fun trying to solve the Rubiks Cube when I was older, but as a younger child I used to love brick construction sets and kits.